Our Golden Starfish Awards honor emerging directors from around the world in narrative feature, documentary feature, and short film competition sections. Juried by world-class filmmakers and industry professionals, these competitions represent the important, provocative premieres by cinema’s next wave of master filmmakers. The Golden Starfish Award for Best Narrative Feature Film awards an emerging director with an in-kind filmmaking service package with a total value of over $145,000. We’re thrilled to highlight this year’s exciting and eclectic group of fresh talents. The Golden Starfish Award for best Documentary Feature Film awards an emerging director with a cash prize of $3,000. Our 2013 section delivers powerful and thought-provoking documentary features from an inspiring new class of filmmakers. Join us as we celebrate the rich cinematic history of the United Kingdom. In addition to screening major new UK releases and discovered gems, we are honored this year to pay tribute to Working Title Films for their unwavering dedication to promoting the best and brightest talent from the British Isles. Did you know that a single British film production company is responsible for Four Weddings and a Funeral, Atonement, Bridget Jones’s Diary, Elizabeth, Billy Elliot, Les Miserables, Notting Hill, Hot Fuzz, The World’s End, Bean, Frost/Nixon, Nanny McPhee, and About a Boy, just to name a few? It is little wonder that the force behind these jaw-dropping creations is Working Title Films? Working Title’s movies have won 35 BAFTA® Awards and ten Academy Awards®, and have grossed more than $6 billion worldwide. Tim Bevan and Eric Fellner have fostered creative collaborations with actors, including Cate Blanchett, Colin Firth, Hugh Grant, Keira Knightley, Renée Zellweger, Simon Pegg, and Emma Thompson, and filmmakers, including Richard Curtis, Stephen Daldry, Stephen Frears, Paul Greengrass, Tom Hooper, Edgar Wright, and the Coen Brothers. The World Cinema program represents an incredible range of narrative and documentary features. Encompassing over 35 films—from stunning non-fiction portraits to hugely acclaimed festival favorites, from hilarious comedies to groundbreaking dramas—the program showcases the breadth and artistry of contemporary filmmaking from all corners of the globe. Discover the next generation of filmmaking talent in this unique collection of short film programs. Uproarious comedies, extraordinary documentaries, the accomplished works in the Golden Starfish Award competition, all-ages selections: there’s something for viewers of all tastes in this year’s lineup. To buy tickets for each individual program, please click on the pink “Info/Tix” button. To read about any of the individual films, click on the film title. The Hamptons International Film Festival continues to strengthen our programming partnerships and bring our audiences unique films and events through our Signature Programs. Join us for our Conversation With series, one-on-one interviews with some of the legends of cinema. Past conversations have included Richard Gere, Vanessa Redgrave, Steven Spielberg, Martin Scorsese, Robert Altman, Sidney Lumet, Gena Rowlands, Angelica Huston, Richard Dreyfuss, and many more. Join this year’s breakthrough performers for a lively discussion about what it takes to make it as a young actor in today’s film industry. The actors will share stories about their work and experiences in a casual and intimate setting. 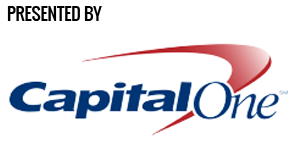 Discussion will be moderated by Steven Gaydos, Executive Editor, Variety. In 2012, the Hamptons International Film Festival launched an important partnership with Variety, the industry’s most respected trade publication. We’re thrilled to present this year’s VARIETY’S 10 ACTORS TO WATCH class. These formidable new talents join an elite class of actors honored in HIFF’s history, including Emily Blunt, Jessica Chastain, Blake Lively, Rooney Mara, Taylor Kitsch, Ezra Miller, and Alexander Skarsgård. Now entering its 14th year, Films of Conflict & Resolution (C&R) program recognizes and celebrates films dealing with the complex issues and effects of war and violence, and the attendant human dramas, in creative, enlightening ways. This year, the Hamptons International Film Festival recognizes five stellar films under the esteemed banner of Conflict & Resolution. These films call on audiences to learn, react, and engage in worthy causes. They encourage dialogue about critical topics and provide a platform for our community to share discussions of the issues we care about the most. Read about the Brizzolara Family Foundation Award for a Film of Conflict & Resolution and our partnership with React to Film. The culmination of our outstanding partnership, the Alfred P. Sloan Foundation and HIFF present the Alfred P. Sloan Feature Film Prize to a narrative film highlighting a realistic and compelling portrayal of science and technology. The winner receives a $25,000 cash prize. “For its searing dramatization of one woman’s personal heroism and another woman’s scientific dedication that led to the groundbreaking 1990 discovery of the bRcA1 gene responsible for many breast and ovarian cancers, and for several exceptional performances, the 2013 Alfred P Sloan Foundation Feature Film Prize at the Hamptons International Film Festival goes to Steven Bernstein’s powerful feature film, Decoding Annie Parker.” —Doron Weber, Alfred P. Sloan Foundation. The Views From Long Island section focuses on local and resident filmmakers, the area’s unique landscapes, and the important social and political issues facing Hamptons communities. 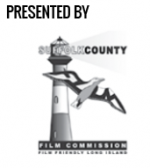 A special thank you to the valued support of the Michelle Stark and the Suffolk County Film Commission, Suffolk County Office of Film and Cultural Affairs, Long Island Community Foundation, and the New York State Council on the Arts. Join us for food, fun, and casual conversation with exciting special guests at our third annual Rowdy Talks series in East Hampton’s Rowdy Hall. Each morning, guest artists will be featured in a moderated conversation. Coffee and light breakfast will be served free of charge to attendees. FREE ADMISSION. First come, first served. Limited seating. Doors open at 9:30AM, conversations begin promptly at 10AM.